Are you having a hard time finding the perfect gift for a loved one this year? Christmas is a fun holiday spent with friends and family, and gift giving is the perfect way to show that you care. But it can sometimes feel overwhelming to pick out the gift that will communicate your love and affection. Sports Glasses: Are you shopping for someone who loves to spend time on the sports field? Buy protective eyewear, such as goggles or sports lenses. You can choose to have prescription lenses if desired. Sunglasses: Consider a pair of designer sunglasses, with or without prescription lenses. Not only will your loved one enjoy the sun protection throughout the year. But they will also look stylish wearing a name-brand pair of frames. New Frames: Upgrade the frames or give someone a second pair of glasses so they have a backup pair to keep at the office. It can be beneficial to have a second pair of glasses in case the other pair is broken or damaged. LASIK: Have you had the conversation about getting rid of corrective lenses? If your family member is tired of wearing glasses and contacts, then laser eye surgery might be a great gift if they are determined to be a good candidate. You might buy these gifts for a loved one. Or, why not put them on your holiday wish list? 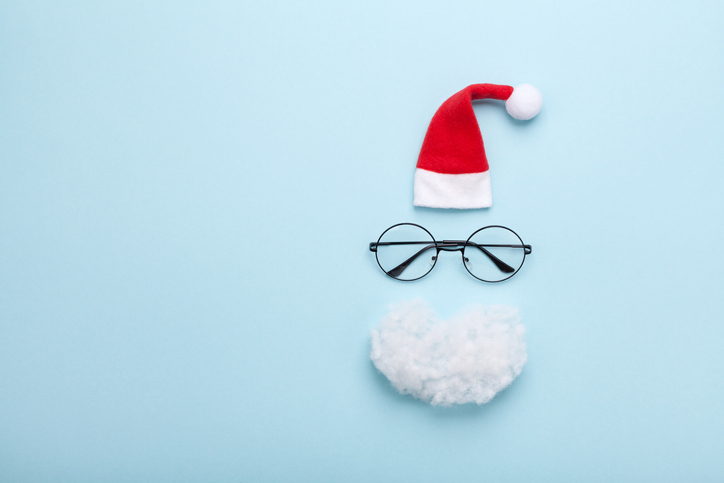 Let Santa know what you want this year so that he puts the right designer frames or sunglasses under the tree! For more information, you can visit our office to see all of the products and services that are available. We provide a range of options to meet your needs and desires. Call with your questions, or stop by during regular business hours. We offer several office locations for your convenience: our Temecula office at (951) 302-1331 or our Murrieta office at (951) 600-9226.